Integrated with major corporate card service providers such as Visa, Master Card, and AMEX, SutiExpense allows users to access their corporate card transactions easily. 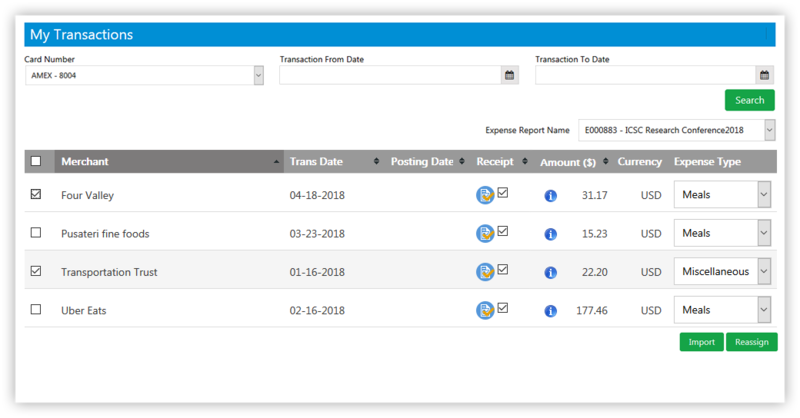 Users can automatically import corporate card transactions into an expense report, alleviating the need of manual entry. Corporate card transactions can be reassigned to other employees for submitting expense reports.